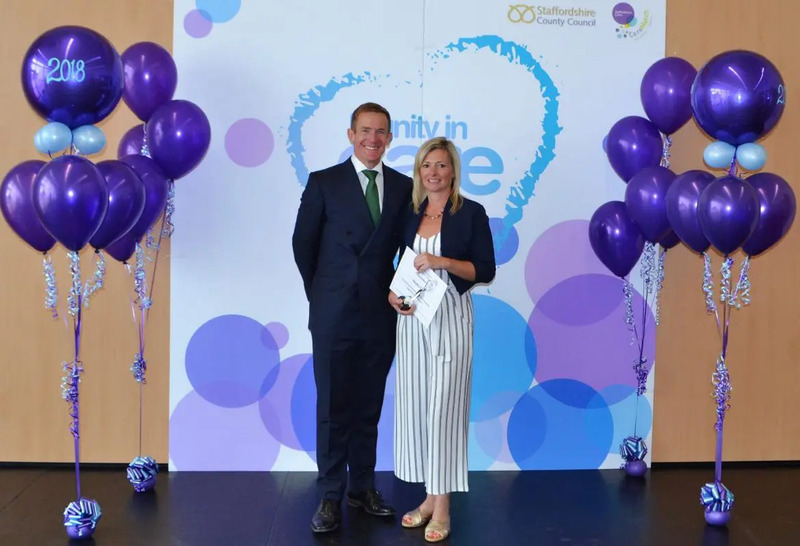 On 10th July 2019, Staffordshire County Council will be hosting the fifth Annual Dignity Awards at Newcastle-under-Lyme College. This is a wonderful opportunity to recognise and reward those who provide care and support with dignity at the heart of everything that they do, and whose actions make a difference and serve as an example to others throughout the region. The Awards will recognise those who care as a profession, plus informal and young carers, amongst others. Carers UK suggest that one in eight adults are informal carers (around 6.5 million people), and over one million people care for more than one person. The Department of Education advises that there are almost 166,000 young carers (aged 5-17) in England alone. It is therefore likely that you and your colleagues will know someone who receives care or who may be an informal carer themselves. In Staffordshire there are approximately 15,500 people working as professional carers; they work diligently to ensure that care is delivered in a dignified manner to citizens across the county 365 days a year, 24 hours a day. Our professional social care workforce continues to provide care in sometimes difficult circumstances, in all kinds of weather and across our urban and countryside areas. This is a self-financing event which relies entirely on business sponsorship. Staffordshire County Council would therefore be extremely grateful if your company would consider sponsoring the Dignity Awards for 2019. This could be one of several things – by providing a prize for the Dignity Award winners, a raffle prize for the day or financial sponsorship to enable the running of the event. The team require funding towards the cost of promoting the event, refreshments and lunch for attendees on the day, trophies, certificates and printing of the programmes. This is very much an opportunity to give something back to those who care for the most vulnerable amongst us. In return for your kind offer of sponsorship, Staffordshire County Council will ensure your company name and logo are published in the awards programme, and your company details will be carefully placed on display screens during the ceremony. The team would also ensure that you would be referenced in any post-event communications across the region, including local media.